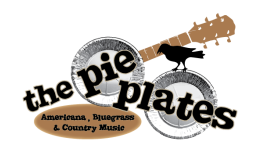 The Pie Plates are a group of talented musicians with a passion for great sound and vocal harmonies. Add a little bluegrass, country, Americana, roots, and some original tunes, mix it all up and you get a treat for the discerning listener. Their eclectic set list is great for all audiences. The Pie Plates play at festivals, pubs, house parties, special events and more. They continue to create their own unique brand of music and are an energetic band to watch and listen to on stage. You won’t be able to keep your feet from tapping and your hands from clapping!